A few weeks ago, I was asked to bring muffins to a baby shower brunch for my dear friend’s daughter. It is such an honor to be part of these special occasions with lifelong friends and helping to make it happen. 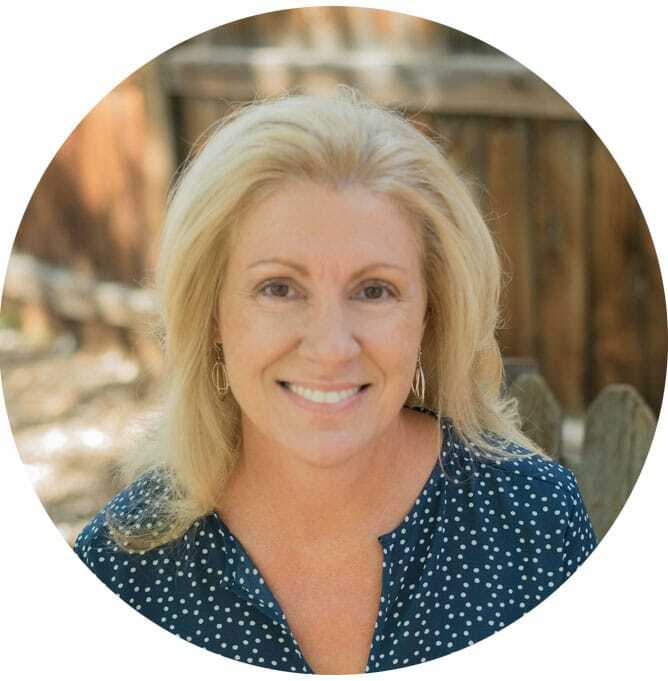 When your friend’s kids are having kids, the joy extends beyond the excitement for the new parents to your friends—the grandparents—grinning ear to ear with anticipation. Celebrating and welcoming new life brings renewal to my own life, a reassurance of promise. So I baked some muffins. These muffins range from fiber-boosted grab-n-go breakfast to sugar dusted morning dessert. We rarely eat muffins and when we do, you can bet they’ve been “healthified” as one of our kids used to say (usually as a protest). However, only one of these four muffin recipes is a healthier version—a party is not the place to mess with someone’s expectations of carbs and sugar. Not safely anyway. Classic Blueberry Muffins pretty much set the standard in the world of muffin munching. 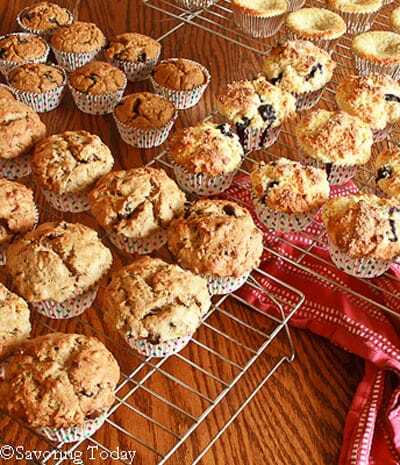 There was no shortage of hybrid blueberry muffin recipes on-line with delicious add-ins like yogurt, sour cream, or various spices, but I reached for my old Betty Crocker Cookbook for this one. I needed a subtly sweet quick bread to hold plump, fresh blueberries and she had it. The weird thing is, even though there is a Betty Crocker website, this simple recipe cannot be located there, but you can find it on Simple Nourished Living. The crumb is a little more like a scone than the usual cake-like muffins, which is more to my liking. Maybe it’s because I used butter instead of oil, I’m not sure. I added twice the blueberries and an extra sprinkle of course sugar on the tops just before baking gives a nice crunch and sweetens the first bite just a touch. I highly recommend a pat of butter when they are fresh from the oven. Of course, I cannot leave well enough alone, there had to be a “healthified” version too! 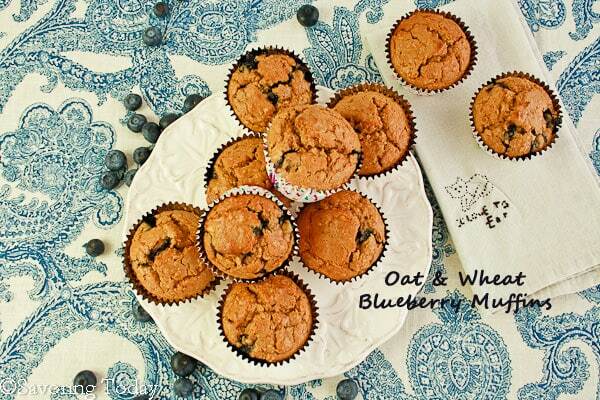 These are called Berry Patch Blueberry Muffins on the site Just Berry Recipes and I mostly followed the recipe … but had to rename them Oat & Wheat Blueberry Muffins to better reflect their wholesome goodness. Coconut palm sugar was substituted for brown sugar and they just cried for more fresh berries, so I threw in another 1/2 cup and they were happy. These muffins are more in the fiber-boosted grab-n-go breakfast category, made with whole grains, unrefined sugar, and fresh fruit. Zucchini Chocolate Chip Muffins were another attempt to provide a slightly healthier choice, everyone feels better about a muffin on their plate when vegetables are in the mix (even if it also involves chocolate). Since it was a party, bittersweet chocolate chips were subbed for the raisins in the original recipe found on Simply Recipes. It’s a basic zucchini bread recipe divided into muffins—cinnamon-spiced zucchini, walnuts, and chocolate chips—that’s one delicious way to get some veggies for breakfast. [Gluten-Free] Lemon Poppy Seed Muffins were a hit and my personal favorite of all the muffin flavors. I ♥ lemon. Rarely does a recipe for baked goods have enough lemon flavor for me, even when I’ve increased the zest and juice far beyond what would seem reasonable. The solution? Lemon extract. Add 1/2 to 1 teaspoon lemon extract in addition to the zest and juice and you’ll have full lemon flavor that doesn’t fall flat. There, you have my secret. Additionally, these muffins have a moist, delicate crumb everyone will love, so make sure your GF friends get to the table before they are gone. 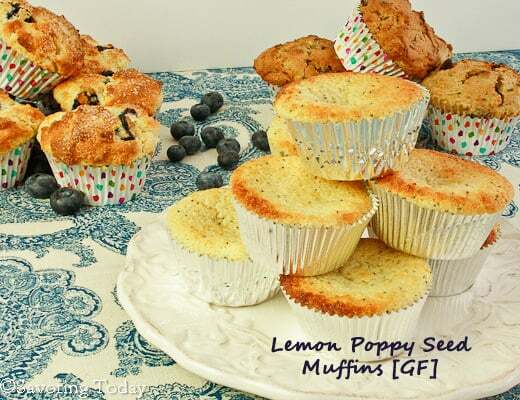 Lemon muffins with a moist, delicate crumb dotted with poppy seeds that everyone will love. Preheat oven to 350°F. Cream together butter and sugar in a mixing bowl. Add the egg, lemon zest, lemon juice, lemon extract, and buttermilk, and mix until combined. In a separate bowl, whisk together flours, baking powder, salt, and almond flour until combined. Add the dry ingredients to wet ingredients and stir just until moistened. Fold-in poppy seeds. Fill muffin cups 3/4 full and bake for 18-20 minutes until lightly golden. A toothpick inserted in the muffin should come out clean. Once removed from the oven, allow to cool in pan for 5 minutes. Remove muffins from the pan and cool on wire racks. Look at all of those muffins!!!! 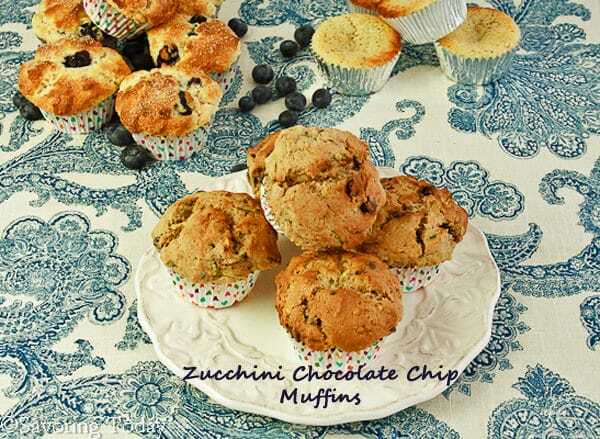 They all look quite yummy, but the zucchini chocolate chip really caught my eye. Wow aren’t they lucky to have you for a friend. What a wonderful idea—-a muffin buffet! Awesome collection. 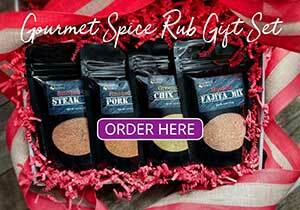 I would say that I would be ‘grabbing’ the lemon poppy seed ones for sure! They all look fantastic, Judy! It would have been hard to choose just one, blueberry is usually my first choice but they all sound scrumptious. What wonderful muffins – not sure I could chose to enjoy just one though! Hi there! 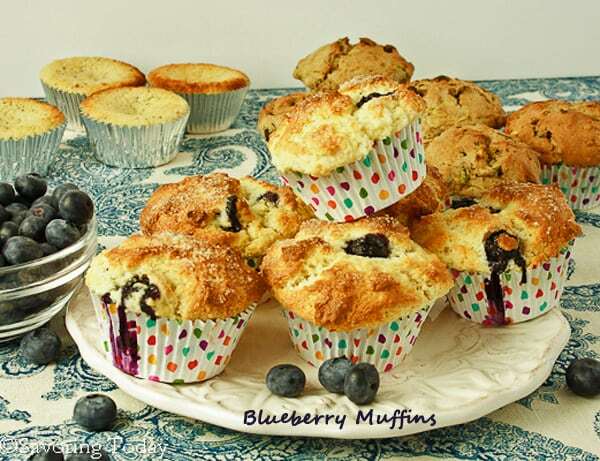 Muffins are a treat from time to time at our place… I love blueberry muffins… what a lovely brunch idea! Yum. We don’t eat that many muffins, but love them when we do. And we’d love these! I’m a lemon freak and I love poppy seeds, so your recipe for lemon poppy seed muffins definitely got my attention! I really like muffins but I’ve never seen so many for brunch! I love them all. 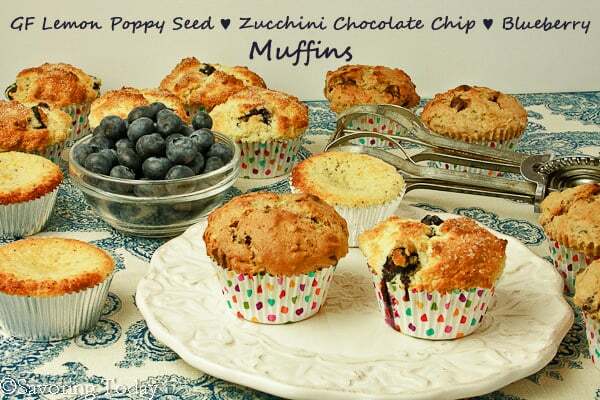 I’m a total devotee of blueberry muffins but these others have certainly gotten my attention.